Точные копии (заводская штамповка, кроме указанных отдельно CD-R) фирменных американских и европейских изданий и качественные издания под Австралию (в скобках выпускающий лейбл), один в один многостраничные буклеты, «задник», кат. № и т.п. Добавлены издания G&P Essential Music, RAO и Ldr! Диски в идеальном (новом) состоянии, включая коробки. CD и полиграфия не содержат следов использования и механических повреждений: отсутствие царапин, рисок, сколов, точек, «пальцев» и т.п. ; полиграфия в полной комплектации, без вмятин, помятостей, «пальцев» и т.п. 21ST CENTURY SCHIZOID BAND Pictures Of A City - Live In New York (2CD) 2006 (Two Camels Music / TOMA, GER) – 300 руб. ALRUNE ROD 4 Vejs 1974 (Karma, SWE) – 65 руб. ARCADIUM Breathe Awhile 1969 (Dogtoire, UK) – 150 руб. ARCHITECTURAL METAPHOR Creature Of The Velvet Void 1997 (G&P Essential Music) – 45 руб. ATLANTIS Live 1974-75 (Repertoire, 1995, GER) – 135 руб. BARCLAY JAMES HARVEST (JOHN LEES' BARCLAY JAMES HARVEST) North 2003 (Esoteric Antenna, ENG) – 150 руб. BIRTH CONTROL Rebirth 1974 (Repertoire, 2001, GER) – 135 руб. BLACKBIRDS Touch of Music 1971 (Long Hair, GER) – 200 руб. РЕЗЕРВ! BLONDE ON BLONDE Contrasts 1968 (Dogtoire, UK) – 120 руб. CHICAGO Chicago 16 1982 (2000 FruitGum, 2009, AUS) – 90 руб. CHICAGO Chicago 17 1983 (2000 FruitGum, 2009, AUS) – 120 руб. DEE EXPUS (DEE EXPUS PROJECT) Half Way Home 2008 (DXP Production, UK) – 50 руб. DREAM THEATER Images And Words 1992 (ATCO, US, 1-е издание!) – 110 руб. EDDIE JOBSON Zinc (The Green Album) 1983 (EMI, Japan) – 150 руб. ELOY The Tides Return Forever 1994 (SPV, GER) – 110 руб. FUTURE SOUND OF LONDON, THE (FSOL) Environments 2008 (FSOL Digital, ENG) – 90 руб. FUZZY DUCK s/t 1971 (Repertoire, 1993, REP 4352-WP, GER) – 250 руб. РЕЗЕРВ! GILA Bury My Heart at Wounded Knee 1973 (Long Hair, GER) – 250 руб. GOMORRHA I Turned to See Whose Voice It Was 1972 (Repertoire, 1997, PMS 7052-WP, GER) – 250 руб. РЕЗЕРВ! GROBSCHNITT Jumbo 1975 (Repertoire / Polymedia Marketing Group, 1998, PMS 7094-WP, GER) – 250 руб. РЕЗЕРВ! HAIKARA s/t 1972 (Fazer, FIN) – 135 руб. HAKEN The Mountain 2013 (InsideOut Music, GER) – 135 руб. JACK BRUCE & ROBIN TROWER Seven Moons Live 2009 (Ruf, GER) – 230 руб. JACK BRUCE Things We Like 1970 (Polydor / Universal, 2003, UK) – 170 руб. JADIS Photoplay 2006 (InsideOutMusic, GER) – 170 руб. JUSTIN HAYWARD & JOHN LODGE Blue Jays 1975 (2000 FruitGum, AUS) – 180 руб. KAYAK Coming Up For Air 2008 (Write On Productions, EU) – 220 руб. LUCIFER'S FRIEND Banquet 1974 (Repertoire, 1994, IMS 7017, GER) – 250 руб. РЕЗЕРВ! LUCIFER'S FRIEND I'm Just A Rock'N'Roll Singer 1974 (Repertoire, 1997, PMS 7042-WP, GER) – 170 руб. MARILLION Somewhere Else 2007 (Intact, ENG) – 120 руб. MARILLION Somewhere Sounds That Can't Be Made 2012 (Intact, ENG) – 150 руб. MARS VOLTA, THE The Bedlam in Goliath 2008 (Universal, US) – 70 руб. MIKE OLDFIELD Light + Shade (2CD) 2005 (Mercury / Universal, EU) – 300 руб. MORPHEUS For A Second 2002 (G&P Essential Music) – 45 руб. NATIONAL HEALTH Play Time (Live, 1979) (Cuneiform, 2001, US) – 160 руб. NAUSEEF / ERGUNER / STOCKHAUSEN / LASWELL No Matter 2008 (Metastation, US) – 70 руб. OZRIC TENTACLES The Hidden Step 2000 (2000 FruitGum, AUS) – 70 руб. PAUL BRETT'S SAGE Jubilation Foundry 1971 (Esoteric, 2009, UK) – 140 руб. PAUL BRETT'S SAGE Paul Brett Sage 1970 (Esoteric, 2009, UK) – 140 руб. PAUL BRETT'S SAGE Schizophrenia 1972 (Esoteric, 2009, UK) – 140 руб. PAVLOV'S DOG / PAVLOV'S DOG 2000 Lost in America, 1990 / End Of The World (2 on 1) 2009 (Galleon, BELG) – 80 руб. PROCOL HARUM A Salty Dog…Plus 1969 (West Side, 1999, ENG) – 120 руб. PROCOL HARUM Home 1970 (Repertoire, GER) – 60 руб. PROCOL HARUM Procol's Ninth 1975 (Salvo, ENG) – 120 руб. PROCOL HARUM Something Magic 1977 (Repertoire, GER) – 60 руб. PURE REASON REVOLUTION Amor Vincit Omnia 2009 (Superball, GER) – 80 руб. RICHARD BARBIERI Things Buried 2004 (Intact, ENG) – 140 руб. RICK WAKEMAN Criminal Records 1977 (A&M, US) – 60 руб. RICK WAKEMAN The Myths And Legends Of King Arthur And The Knights Of The Round Table 1975 (A&M, US-JP) – 60 руб. RIVERSIDE Memories in My Head 2011 (Laser's Edge, US) – 70 руб. ROBERT FRIPP Exposure 1979 (2CD: 1CD – First Edition: original 1979 release; 2CD – Third Edition: the 1983 remix, 1985 re-release, including 3 formerly unreleased Daryl Hall vocals) (DGM, 2006, DGM0602, US) – 320 руб. SPIROGYRA St. Radigunds 1972 – 40 руб. STEVE HACKETT Out of the Tunnel's Mouth (2CD) 2009 (InsideOutMusic, GER) – 250 руб. STRAY DOG s/t 1973 (Dogtoire, UK) – 45 руб. TANGERINE DREAM Cyclone / Exit (2 on 1CD) (RAO) – 30 руб. TANGERINE DREAM Electronic Meditation / Sorcerer (2 on 1CD) (RAO) – 30 руб. TONY LEVIN World Diary 1998 (2000 FruitGum, 2004, AUS) – 145 руб. TRÄD, GRÄS OCH STENAR (TRAD, GRAS & STENAR) Gärdet 12.6.1970 (Live) 1970 (G&P Essential Music) – 70 руб. TRANSATLANTIC The Whirlwind 2009 (2CD, Special Collector's Edition) (Radiant / Metal Blade, US) – 250 руб. VAN DER GRAAF GENERATOR A Grounding in Numbers 2011 (Esoteric, UK) – 150 руб. VAN DER GRAAF GENERATOR Present (2CD) 2005 (Virgin / EMI, EU) – 400 руб. VAN DER GRAAF GENERATOR Real Time (Live) (2CD) 2007 (Fie!, UK) – 400 руб. VIOLENT SILENCE s/t 2003 (Record Heaven, SWE) – 50 руб. WISHBONE ASH Illuminations 1996 (Talking Elephant, 2001, ENG) – 115 руб. YES Going For The One 1977 (Elektra/Rhino, 2003, US) – 70 руб. YES Tales From Topographic Oceans (2CD) 1973 (Elektra/Rhino, 2003, US) – 130 руб. DRAGON Scented Gardens for the Blind 1975 (Alcinous Records, редкий Prog Rock, тираж давно закончился!!!) – 70 руб. SOHO ORANGE s/t 1971 (Alcinous Records, редкий Prog Rock, тираж давно закончился!!!) – 300 руб. Только вместе (комплектом)! – 550 руб. Только вместе (комплектом)! – 750 руб. Только вместе (комплектом)! – 560 руб. Только вместе (комплектом)! – 450 руб. Только вместе (комплектом)! 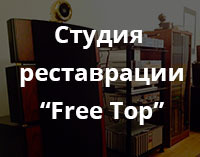 – 760 руб. Deluxe Edition, CD, картонный футляр (slipcase)!!! BRIAN ENO & DAVID BYRNE My Life In The Bush Of Ghosts 1981 (2006) (Virgin / EMI, 0946 3 31341 2 6, EU) – 300 руб. BLUE CHEER s/t 1969 (Universal Music Japan, OBI) – 135 руб. BLUE CHEER The Original Human Being 1970 (Universal Music Japan, OBI) – 135 руб. INTERGALLACTIC TOURING BAND, THE s/t 1977 (Air Mail, OBI) – 60 руб. MELLOW CANDLE Swaddling Songs 1972 (Universal Music Japan, OBI) – 140 руб. MOTHERLIGHT (MIKE BOBAK, ANDY JOHNS, WILSON MALONE) s/t 1969 (Air Mail, OBI) – 60 руб. STRAY Mudanzas 1973 (Strange Days, OBI) – 150 руб. STRAY Suicide 1971 (Strange Days, OBI) – 150 руб. GENESIS A Trick Of The Tail (CD&DVD) 1976 (EMI 2007, EU, Three Panel DigiPak) – 400 руб. GENESIS Wing and Wuthering (CD&DVD) 1976 (EMI 2007, EU, Three Panel DigiPak) – 400 руб. KANSAS There's Know Place Like Home 2009 (DVD) (InsideOut, GER, NTSC, Sound 2.0 Stereo, 5.1 Dolby Digital + DTS, long digipak + slipcase!) – 150 руб. KING CRIMSON Live in Japan 1995 (DVD) (Woodstock Tapes, 2007, EU, NTSC, Dolby Digital, long digipak + slipcase!) – 150 руб. Распродажа фонотеки. Все позиции только в 1 экз.!! !